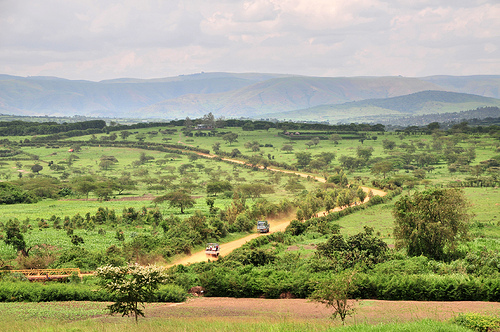 The idea of creating a solidarity association was born in 2002 on the green hills of Rwanda. Two young boys on their way to school were looking at a makeshift shelter in the middle of solid houses and wondered why the people didn’t help their neighbourg. The idea has grown during several years in their heads until they were capable to realize their dream and found the association COMPANONESS VULNERIS ASSOCIATION in 2006 by rallying behind their cause other young people. At the beginning members of the association offered their help to people in need by doing small services as bringing them water, rebuild old houses, give a hand to plow the fields, etc. Then the association evolved progressively and started offering leisures to children because for the association, the right to leisure is also fundamental. The fact to gather these children around leisure activities give the occasion to the association to notice easier the ones who are in difficulty within their families and so give them a suitable help. The members of the association want also, by the way of the game, to sensitize and form these children to solidarity values. But CVA didn’t stop there. The association noticed the extremely poor living conditions of children in prisons and the almost total absence of structure to help this public, so the association increased its field of action to answer to the basic needs of children living in such conditions. association want to promote solidarity especially amoung children, the association is not satisfied with words only. That’s why actions to support families in need and help them to overcome their situations are often organised with the idea of stimulate mutual assistance among the communities. The departure of several members of CVA abroad is an important shift in the history of the association. At this moment the idea of expanding the action and spreading the values of CVA at an international level became possible. The association was recognised in France in 2011. Today, COMPANONESS VULNERIS ASSOCIATION count around 120 members spread in six countries.